Bible John killed three women, and took three souvenirs. Johnny Bible killed to steal his namesake's glory. Oilman Allan Mitchelson died for his principles. And convict Lenny Spaven died just to prove a point. "Bible John" terrorized Glasgow in the sixties and seventies, murdering three women he met in a local ballroom--and he was never caught. Now a copycat is at work. Nicknamed "Bible Johnny" by the media, he is a new menace with violent ambitions. The Bible Johnny case would be perfect for Inspector John Rebus, but after a run-in with a crooked senior officer, he's been shunted aside to one of Edinburgh's toughest suburbs, where he investigates the murder of an off-duty oilman. His investigation takes him north to the oil rigs of Aberdeen, where he meets the Bible Johnny media circus head-on. Suddenly caught in the glare of the television cameras and in the middle of more than one investigation, Rebus must proceed with caution: One mistake could mean an unpleasant and not particularly speedy death, or, worse still, losing his job. Written with Ian Rankin's signature wit, style and intricacy, Black and Blue is a novel of uncommon and unforgettable intrigue. 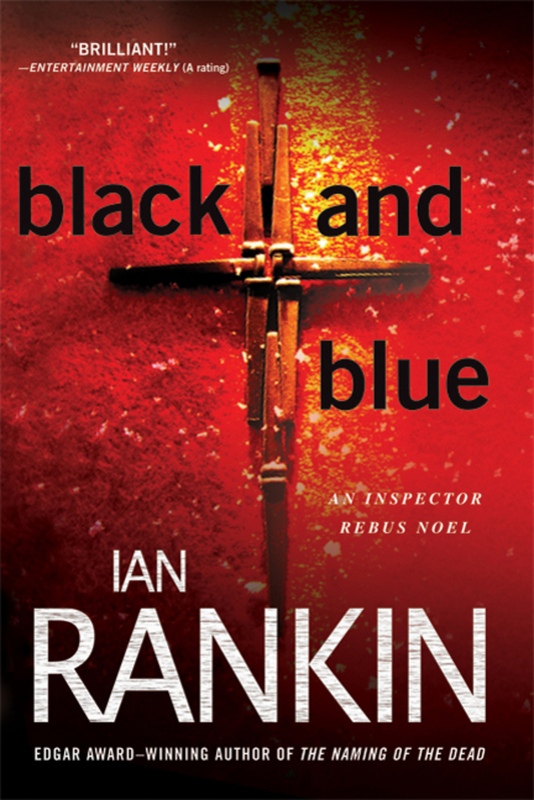 Ian Rankin is the worldwide #1 bestselling writer of the Inspector Rebus books, including Knots and Crosses, Hide and Seek, Let It Bleed, Set in Darkness, Resurrection Men, A Question of Blood, The Falls and Exit Music. He is also the author of The Complaints and Doors Open. He has won an Edgar Award, a Gold Dagger for fiction, a Diamond Dagger for career excellence, and the Chandler-Fulbright Award. He has been elected a Hawthornden Fellow, and received the Order of the British Empire (OBE) for his contributions to literature. He graduated from the University of Edinburgh in 1982. He lives in Edinburgh, Scotland, with his wife and their two sons.